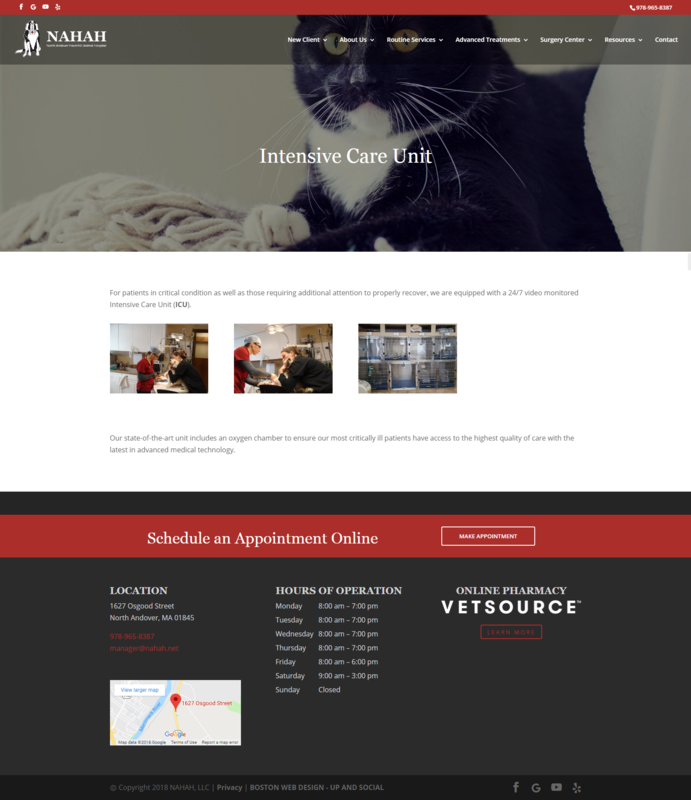 Most recently, Up And Social did a website revamp for North Andover Haverhill Animal Hospital (NAHAH). 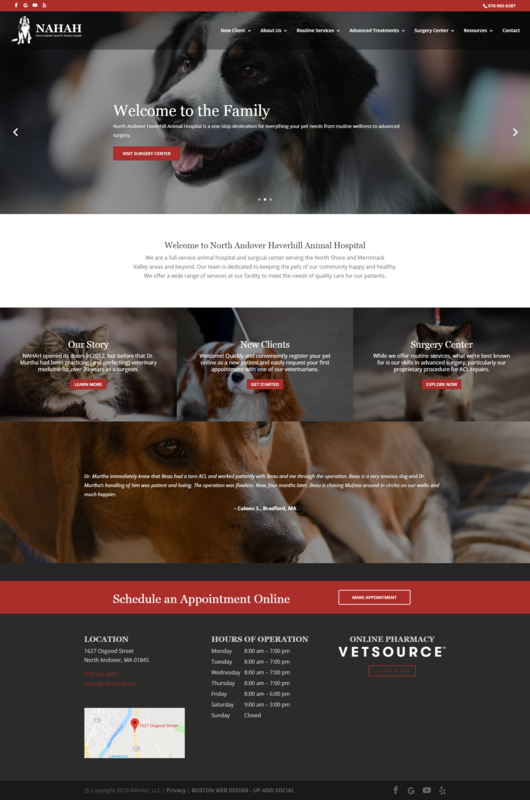 The goal for this website was to provide a site that filled the needs of both current patients and pet owners looking for health care for their pets. The information included for current patients is hours, prescription/food refills, helpful links, and information about routine services. For prospective patients, there is general information about the hospital, services offered, patient registration, new patient information, and an appointment scheduler. All of this information is organized through a user-friendly interface that allows for easy navigation. 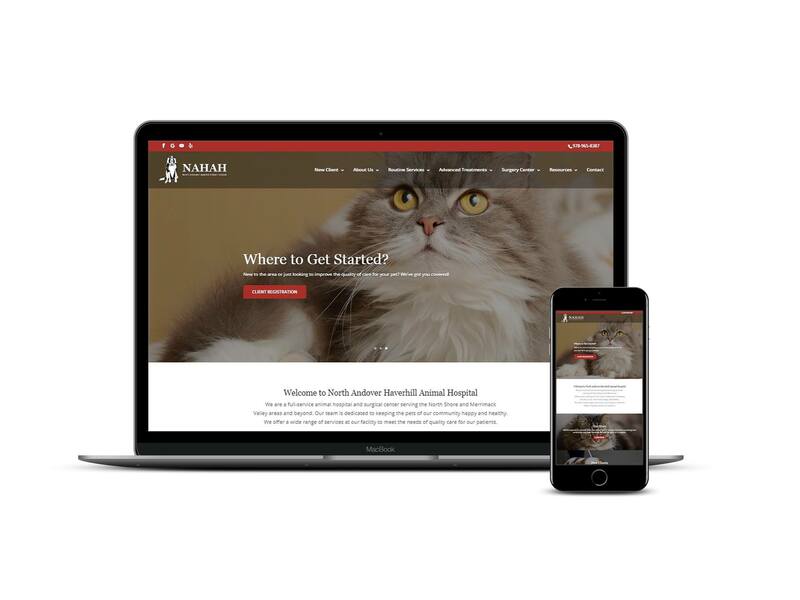 The design matches the brand NAHAH has created – strong commitment to pet health and a specialty in surgery. 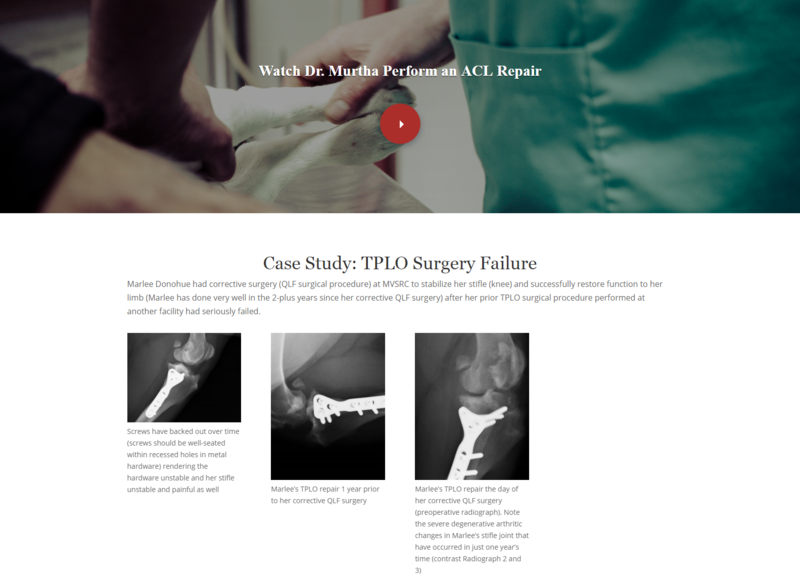 Heart tugging pet images, easy to read fonts and bold colors were used collaboratively to make the site attractive and lively. 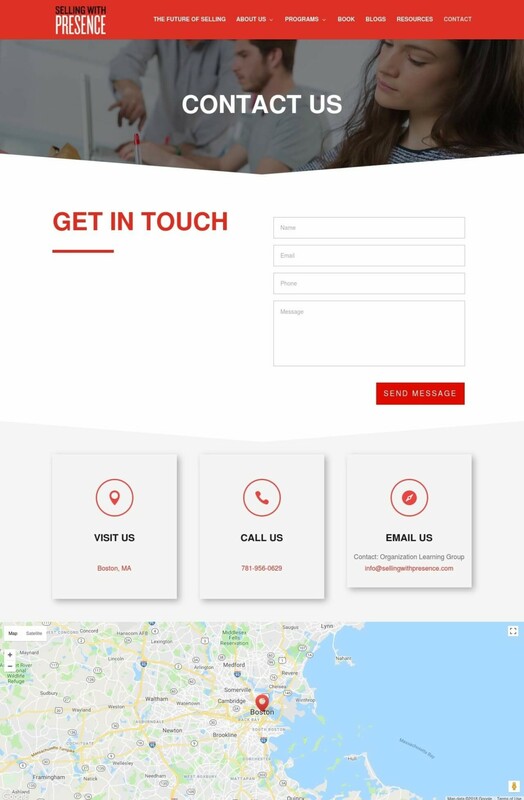 Creating a responsive website was imperative to make sure that every site visitor receives what they need from the website.